For reducing swelling and dark circles under the eyes. The Eye Gel Significantly reduces dark circles and swelling under the eyes. 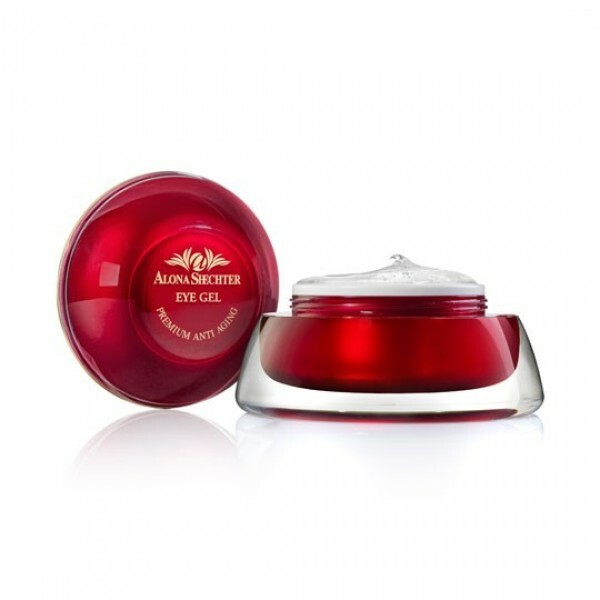 The Eye Gel is a gentle gel that can be used on sensitive skin around the eyes. It moisturizers and smooth's the skin. It is most effective in reducing dark circles and bags under the eyes. This is an anti-aging product that is made from medicinal herbs, minerals from the Dead Sea and jade powder which together create meaningful change and is effective. The eye gel greatly contributes to Dermal Collagen in the skin, and using it causes the skin to become visibly smooth, healthy and radiant. Firstly, wash face and neck areas with "Achillea Soapless Soap". Next apply "Classic Serum" to the washed areas and then apply "Eye Gel" to the eye area.